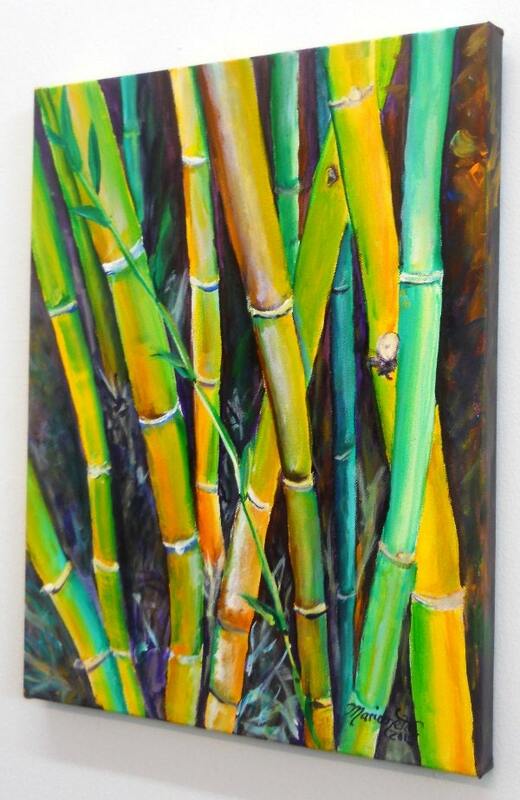 "Bamboo Garden" is an original acrylic painting measuring 11"x14" and painted in a "gallery wrap" style which means the edges are painted and there are no staples - Ready to Hang! Colors may vary slightly from monitor to monitor. 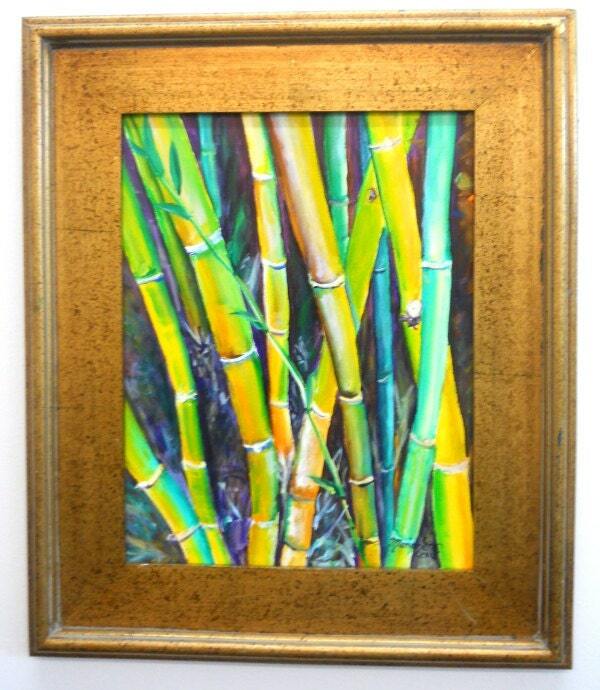 Photo #2 in this listing shows how the painting looks framed. Please note: The frame is NOT included in the sale. Photo #3 shows how the painting looks unframed from the side. It also comes with a signed "Certificate of Authenticity." I use only the finest quality art supplies in my acrylic paintings - Liquitex paints and triple primed canvas. Also, my art has been certified and accepted by the County of Kauai into their "Kauai Made" program which represents those products made on Kauai, by Kauai people. 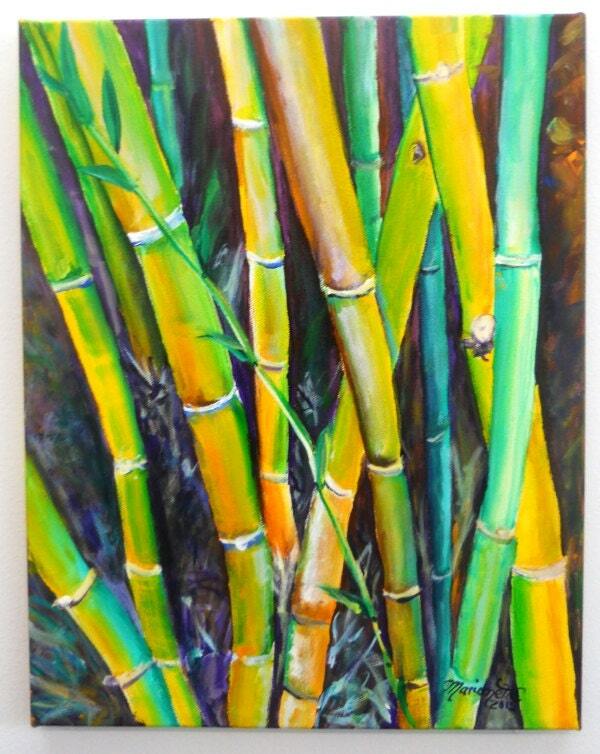 The story behind the painting: Bamboo grows quite nicely on this island and it can often be found in personal gardens, botanical gardens, and well, just about anywhere.